South lake in The Islands is surrounded by the lakeside communities of Catalina Bay, Key Harbor, and Windhaven. Over 140 waterfront residents in these communities can enjoy waterfront views of 150 – 250 ft. or more in most cases. Lot sizes range from 8,000 sq.ft. to over 12,000 sq.ft. Home builders in Catalina Bay, Key Harbor and Windhaven include UDC and Blandford Homes. Unlike residents that live north of Warner, residents in The Islands south of Warner road are part of the Chandler school district even though they have a Gilbert address. 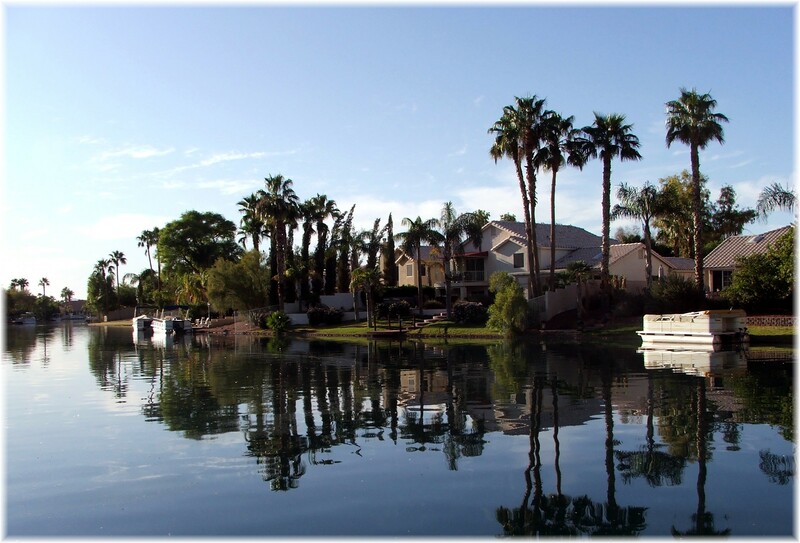 When comparing lake communities in the Phoenix area, you will also want to be aware of the source of water for the lake. In this respect you’ll find that The Islands compares very well in regards to water clarity to other Phoenix lake communities because of the water source for the lakes. North of Warner Rd. are two lakes and each is about 1/2 mile from end to end. Communities with great views include Catalina Bay, Harbor Point, Coral Point, Coral Reef, Tres Vistas, Sandcastle Village, and Coral Reef towhouses. It is not uncommon for houses to have over 150 feet from one shore to the opposite shore. Does The Islands lake community allow boating? If you would like to receive updated listings of homes in The Islands, click on Receive The Islands Homes via e-mail. To the east in the Historic District of Gilbet, you’ll find the Hale Centre Theatre and favorite restaurants such as Joe’s Real Barbeque, The Farmhouse, Next to the McQueen Activity Center is one of the many jogging trails that run throughout the east valley. If you enjoy jogging or riding your bike, the trails will provide miles of enjoyment without having to worry about sharing the road with cars. If you head so to the 202 freeway, a couple of minutes drive to the east will put you in the middle of the San Tan Village Outdoor Mall. If you are a waterfront home owner and would like to know the value of your home, click on What is the Value of My Waterfront Home? for a free analysis. 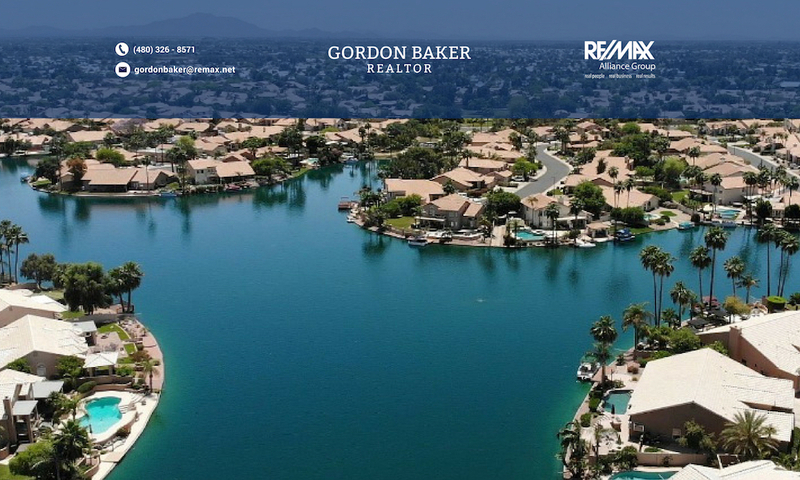 Other communities that are built on lake with good waterfront views include Pinelake Estates, Val Vista Lakes, Ocotillo, and The Lakes in Tempe. Previous PostPrevious Phoenix Fannie Mae Short Sales and Foreclosures – Are they over priced?